Development as a reflective practitioner has become an essential quality for practitioners in the fields of health, education and social care. 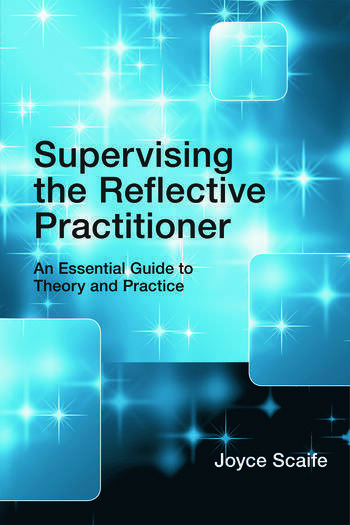 Supervising the Reflective Practitioner provides guidance for supervisors, focusing on what they can do to facilitate the development of reflective practice in supervisees. what is reflective practice and why is it important now? methods that can be used in supervision. This accessible book will be of great interest to both supervisors and supervisees who practice clinically in a range of professions, including applied psychology, counselling, psychotherapy, psychiatry and nursing. It will also be useful for professionals working in education, health, and social care who want to support supervisees in the development of reflective practice. Introduction and Context. Frameworks Supporting Reflective Practice. Reflective Practice and Personal and Professional Development. Supervision Conditions that Support Reflective Practice. Approaches to Supervision of Reflective Practice (I) Enquiry. Approaches to Supervision of Reflective Practice (II) Methods that Encourage Self-awareness. Approaches to Supervision of Reflective Practice (III) Methods that Encourage ‘Decentring’ or Trying to Understand from the Perspective of Another Person. Approaches to Supervision of Reflective Practice (IV) ‘Live’ Methods, Recordings and Groups. Reflective Writing. Assessment of Reflective Practice and the Supervisor’s Role in Coursework Assignments. Joyce Scaife, former Director of Clinical Practice for the Doctor of Clinical Psychology training course at the University of Sheffield, is a clinical psychologist with a career-long interest in supportive and challenging supervision.